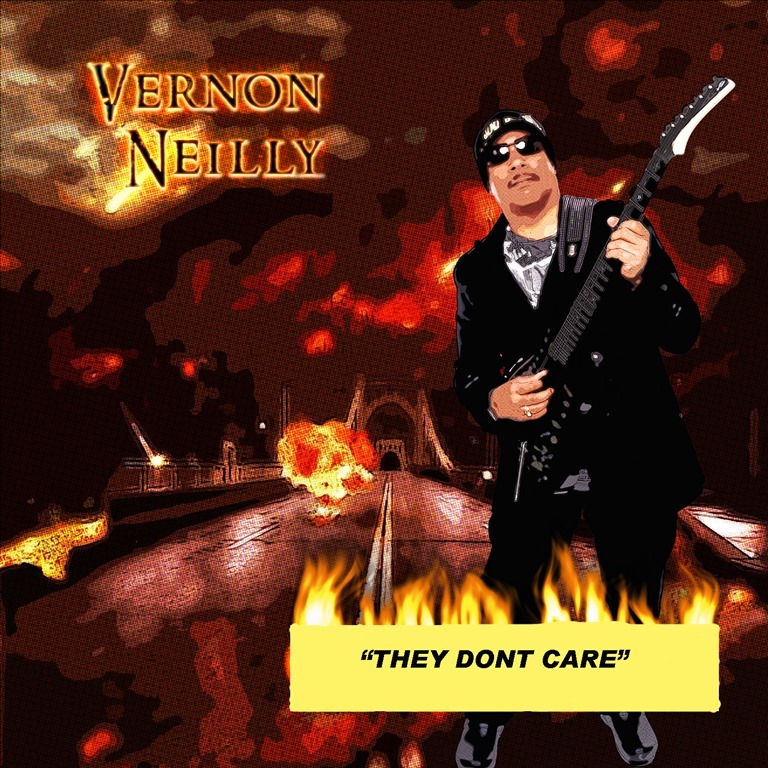 Vernon Neilly is no stranger to talent laden musical projects, and this CD “Outta Time” is no different. Vernon brings together super virtuoso and legendaryguitar and bass players, Greg Howe, Frank Gambale, Jennifer Batten, Kiko Loureiro, Mattias IA Eklundh, Victor Johnson, Doug Wimbish, TM Stevens, Juan Nelson and others to help him to express his musical point of view. Although “Outta Time” boasts supreme musical fire power, it is far more than an exposition of world class musical abilities. The CD has a definite message for our times by means of songs like “They Don’t Care”, “Outta Time”, and the funky “Git Yo Lyfe Rite”. Strong melodies and hooks will have the listener singing along. Vernon was heavily influenced by Jimi Hendrix as a youth, and pays tribute to the Guitar Hero with is version of “Fire” rearranged and produced by Vernon and Greg Howe. Vernon and this all-star cast of virtuosos Greg Howe (Michael Jackson, Justin Timberlake, Rhianna), Frank Gambale (Chic Corea, Return To Forever), Jennifer Batten (Michael Jackson, Jeff Beck), Kiko Loureiro (Angra, Megadeth), Mattias IA Eklundh (Freak Kitchen), Victor Johnson (Busboys, Total Eclipse, Sammy Hagar), Doug Wimbish (Living Colour, Jeff Beck, Tarja), TM Stevens (Steve Vai), Juan Nelson (Ben Harper) and the other highly skilled musicians bring the heat on “Outta Time”. The new single is ” They don’t care”.